Ships today if you order in the next 14 hours 24 minutes. 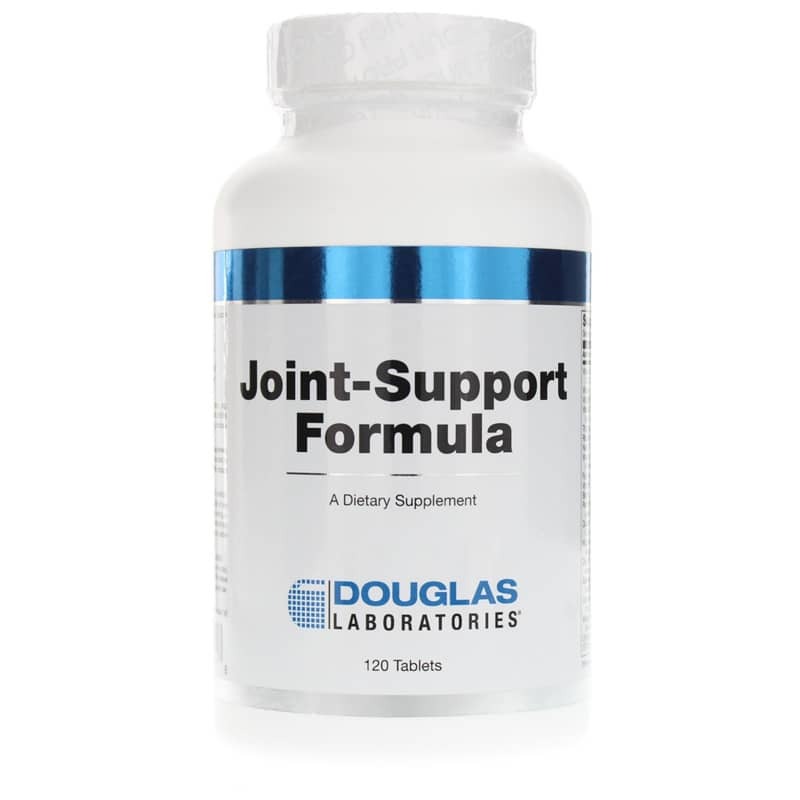 Joint-Support Formula by Douglas Labs is a natural supplement for joint support. 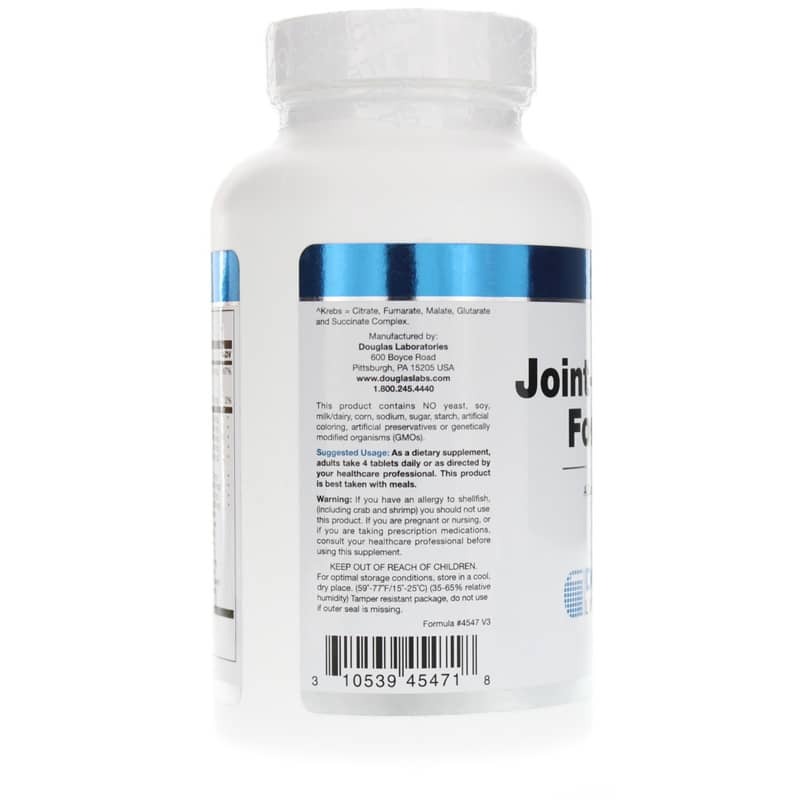 Joint-Support contains a great combo of natural ingredients, including glucosamine sulfate, shark cartilage, and bromelain, carefully formulated and specifically designed to support normal bodily processes while maintaining and restoring the structure and function of healthy joints. Studies show that a high percentage of adults in North America and other developed countries eat less than the minimum daily allowance of 10 or more essential nutrients. Adequate amounts and proper balance of these nutrients are needed not only for maintaining good health, but also for the dietary management of the body's structure as well as the optimum functioning of its various systems, including its joints. Joint-Support Formula has been carefully developed to contain the right proportions of vitamins, minerals, trace elements, and other nutrients without danger of toxic build-up or of side effects. Each ingredient is selected in consideration of its absorbability, competitive relationship with other nutrients and allergenic potential. Certain nutrients such as beta carotene, Vitamin C, vitamin E and B-complex vitamins are included in high-potency amounts because of the vital roles they play in antioxidant protection, energy production and maintenance of healthy blood cells, nervous system, hormonal balance, and more. Minerals and trace elements are provided in their most bioavailable forms. The Joint-Support Formula contains not only the base formula of Douglas Laboratories Ultra-Specific Nutrition 2000 Series that offers intensive support for the healthy functioning of the body in general, but also a blend of herbs and additional nutrients specifically formulated for maintenance of healthy joint structure and function. 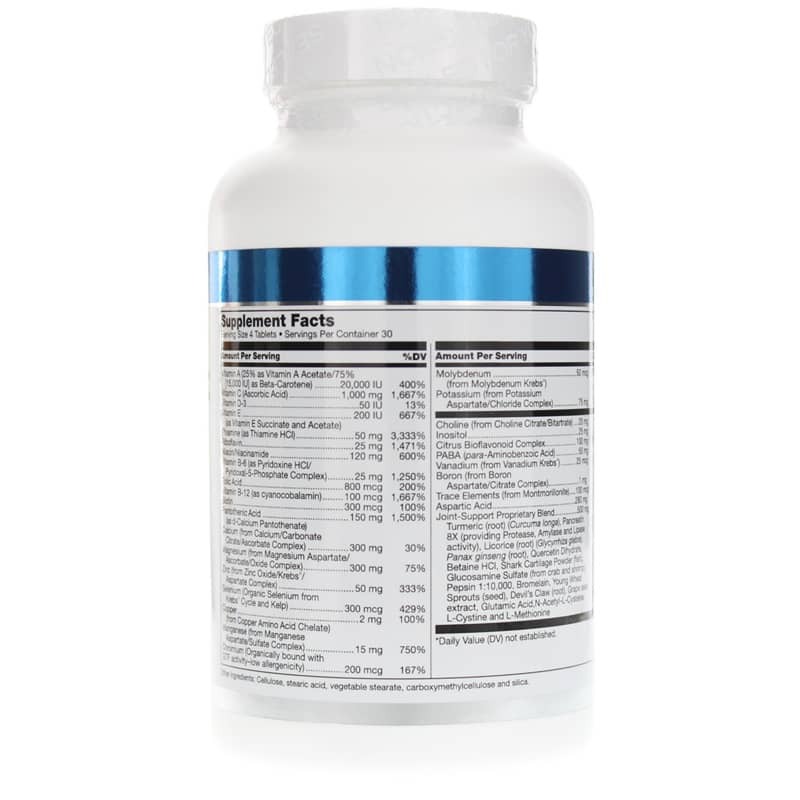 Glucosamine is a naturally occurring amino sugar found in glycosoaminoglycans (mucopolysaccharides), integral components of the proteoglycans found in joint cartilage. Proteoglycans are large carbohydrate rich structures that provide resiliency, load distribution, shock-absorbing, compressive and lubricating properties to joints and connective tissues. Dietary glucosamine serves as an immediate precursor for glycosaminoglycan synthesis, and also stimulates incorporation of other precursors into the connective tissue matrix. The availability of glucosamine is an integral part of the synthesis of glycosaminoglycans and proteoglycans that are necessary during the constant remodeling that aging cartilage undergoes. Thus, the maintenance of healthy aging cartilage may be improved with enhanced deposition of glycosaminoglycans and proteoglycans. Bioavailability of oral glucosamine sulfate is excellent. It is absorbed intact, and utilized very quickly by all tissues, including connective tissues. Glucosamine sulfate is more efficiently used for connective tissue metabolism than other glucosamine sources, such as cartilage extracts or chondroitin sulfate. Glucosamine sulfate is a well recognized, highly useful source of glucosamine for glycosaminoglycan and proteoglycan synthesis in all connective tissues, such as cartilage, ligaments, tendons, skin, and bone. Bromelain, a protease from the pineapple plant, can reduce the production of pro-inflammatory prostaglandins by modulating the arachidonate cascade. Other herbs in Joint-Support Formula, such as licorice, feverfew, devil's claw, and turmeric, also provide support for normal bodily processes.